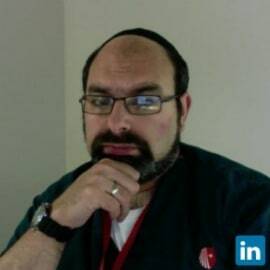 Ethan Brandler, MD, MPH, FACEP is Assistant Professor of Clinical Emergency  Medicine and the Associate Director of Emergency Medical Services at the State  University of New York at Stony Brook where he is an active researcher in acute  stroke care and in prehospital care. Previously, he has worked in similar capacities  as the Medical Director of Emergency Medical Services at SUNY Downstate. Dr.  Brandler is a former NYC EMS paramedic and an active on-line medical control  physician for the Fire Department of New York. He is currently a co-chair of the AHA/ASA NYC Stroke Task Force EMS Committee which is seeking to improve stroke systems of care in NYC and is a member of the Suffolk County Regional Emergency Medical Services Advisory Council.